He arrived at CLASP 30 years ago. At 20 years old, with a developmental disability, he was shy and lacked confidence. Chris got a job at Food Emporium, collecting carts. When Whole Foods replaced that store, he made the transition. He’s been promoted several times. Today, he helps in all departments. Shoppers know him. They look for him, and stop to chat. Chris enjoys himself at a CLASP event. In 1995 Chris moved into his own apartment. He learned to swim. Competing in Special Olympics, he won many medals. Today he lives a very independent life. He works, swims, eats out, and stays current on political issues. Being on his own was always his dream. With hard work, determination — and the support of CLASP — he made it come true. CLASP is a low-key — and highly effective — organization. Though their work costs plenty of money, they seldom ask area residents for funds. Once a year though, they do. In a very “tasteful” manner. 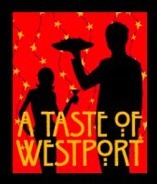 CLASP Homes’ A Taste of Westport brings 2 dozen restaurants to the Westport Inn. Westport’s own Amis, Garelick & Herbs, Harvest, Matsu Sushi, Pane e Bene, Pearl, Rive Bistro, Romanacci and Tarantino offer tastings. There’s dessert from Le Rouge, beverages from Black Bear Wine & Spirits and Greens Farms Spirit Shop, plus music by the great cover band Green Eyed Lady. A silent auction includes tickets to the Jimmy Fallon Show, the Daily Show with Trevor Noah, Yankees tickets, and a night at the Met opera. Westport is filled with worthy fundraisers. If you’ve never been to this one, take a taste. You’ll clasp it to your heart forever. This entry was posted in Organizations, People, Restaurants and tagged "A Taste of Westport", CLASP Homes. Bookmark the permalink. 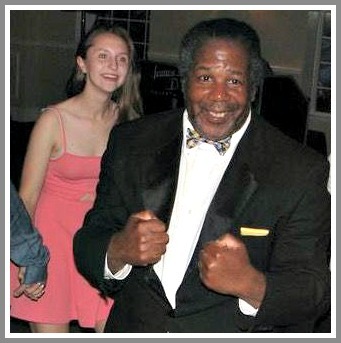 Thank you Dan for highlighting this wonderful man, and our event. There are many stories like Chris’. Our staff do incredible work, and the people we serve are some of the loveliest people I have ever met. This event raises much needed funds which go directly to services. Come- Eat. Drink. And be Charitable!